This is how we get to know you! This is how we get back to you! We're always looking for potential sponsorships. Have your store or business advertised in our books. We have a variety of options suitable for your needs. We can even design the ad for you! 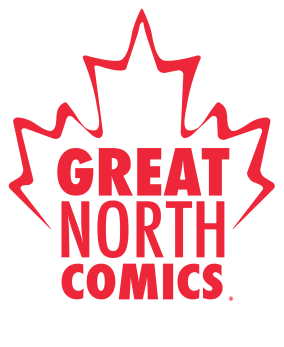 At Great North Comics, we want to shake things up. We want to change the way people enjoy comics. That's why we're cutting out the middle man and sending the good stuff directly to you. Our goal is simple: Comics made fresh, cheap and right to order! Copyright © 2015 Great North Comics. All rights reserved.